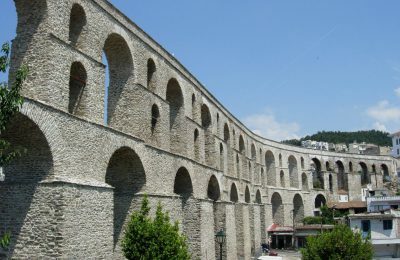 Welcome to Kavala, a prefecture of unique natural beauty and historical importance featuring stunning sceneries, fascinating historical monuments, superb beaches and all the services and facilities accompanying a sound tourist infrastructure, to please every visitor all year round. Visit the capital city of Kavala a city with a distinguished past which occupies the site of ancient Neapolis, with wonderful architecture, imposing neoclassical buildings, spacious squares and a wonderful harbour. The museums across the region are a good projector of the former wealth of the locals that maintain perfectly the local beauties. 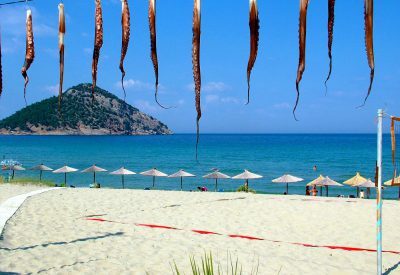 The emerald island of Thassos rises out of the sapphire waves, brimming with history, tradition and natural beauty with constant interchange between green and blue that one meets at every corner and cove. Its lush vegetation never ceases to astonish, and the terrain, rich in marble, takes on shapes and contours encountered nowhere else. 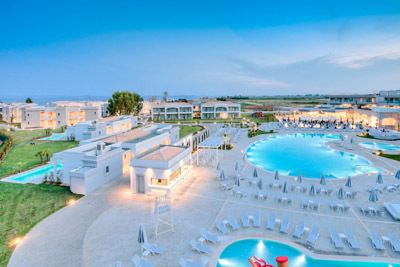 This blessed spot of Greece is a popular tourist destination and home of excellent accommodation infrastructure with luxury hotels, hotel resorts and spa hotels, some of which fully supported with conference facilities. The area of Kavala is an ideal destination for year round tourism as it features a ski centre ideal for winter escapes and lovely long sandy beaches that offer for relaxed holidays. 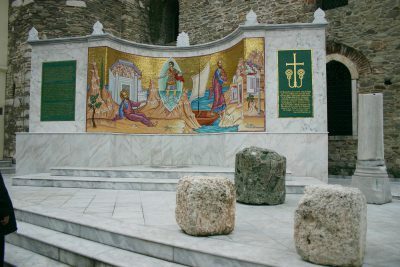 The natural spring and mud baths operating at the area for centuries appeal those who wish to combine their holidays with healing treats, while the numerous churches and monasteries along with areas to designate the Apostle Paul’s steps attract religious tourism. The numerous monuments of the area from the ancient times till the Ottoman occupation reflect all the aspects its rich cultural heritage. 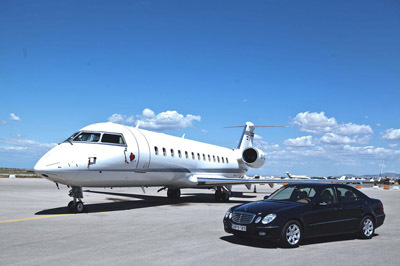 The region of Kavala and its homonymous capital city can be easily accessed by air, sea or road. 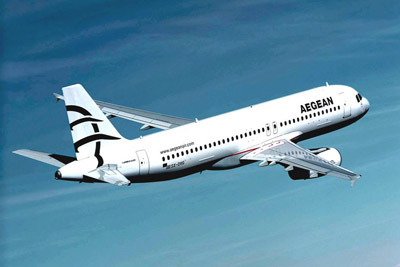 The local airport connects daily with Athens and other major Greek cities, while during the summer period, several charter flights provide transportation to the incoming tourists. The national railway system connects Athens with northern Greece through a number of cities such as Thessaloniki. The city of Kavala is also a busy port with routes to the neighbouring islands Thassos, Samothraki, Limnos, Lesvos, Chios and Samos. 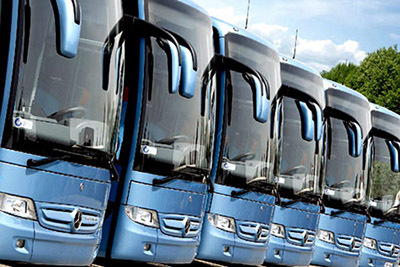 Finally those who wish to explore the area with their own pace, car rental is also an option where Egnatia Highway has eased the access. 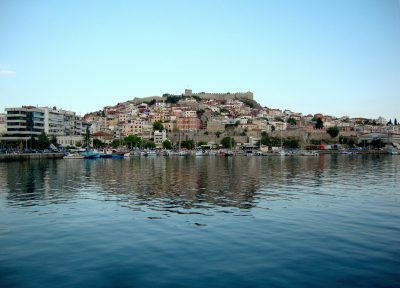 The capital city of the area, Kavala is definitely a must visit destination as its beauty and rich history are apparent to all aspects of the area. Built amphitheatrically on hills to surround the city’s port full of fishing and sailing boats, while being the harbour where visitors disembark. The old part of the city features a medieval castle while the old neighbourhoods are encompassed with old tobacco warehouses. The central pedestrian street of the city, Cyprus Street is the heart of the touristic activity as it is charmed with wonderful buildings such as the Lazarist Monastery used as a Catholic church, the Town Halls built as a miniature of a Hungarian castle, the Wix Mansion, the Great Clubhouse with many elements of the ancient Greek tradition, the Tokou Manison as a perfect combination of Ottoman neoclassical and barok archetectual styles and the Folklore Museum. The city centre also hosts Mohamed Ali’s House and his statute given as a gift from the Greek community of Alexandria to the people of Kavala. 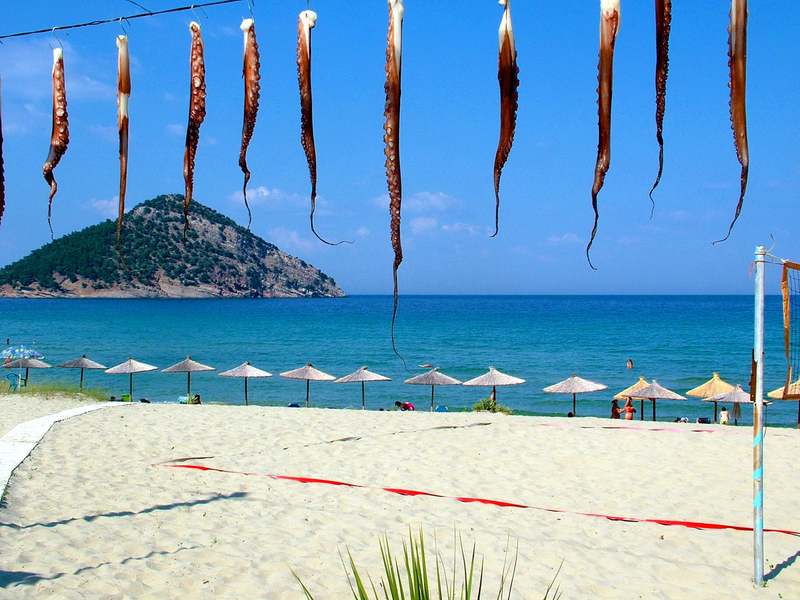 Once being at the area, a visit to the island of Thassos pays back everyone who wished to discover the mythical land of the Sirens. This utterly green island with blue seas and wonderful sandy beaches attracts many tourists while retaining its original colours. 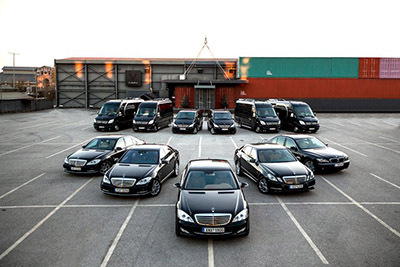 The capital city is a very pleasant mixing of modern town and ancient ruins that reflects the islands wealth and history. 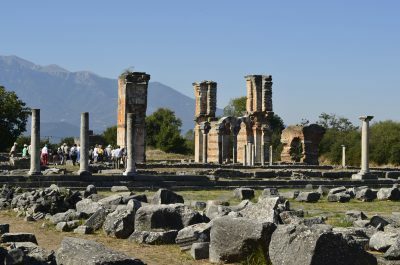 Ancient remains are scattered all around, most obvious of which are these in the Agora, which backs onto the ancient harbour and houses the remains of temples and monumental altars. Nearby is the islands rich Archaeological Museum. To the south lies a small Odeon fronted by the remnants of a paved Hellenistic street. This led to the triumphal Arch of Caracalla, now reduced to some impressive large foundations. 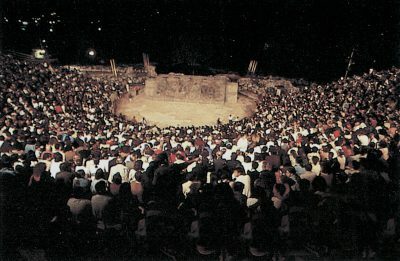 Other survivals consist of a well-preserved theatre and the ancient acropolis. From the topmost point of the acropolis there are magnificent views of Thassos Island and the Aegean Sea as far as the island of Samothrace. 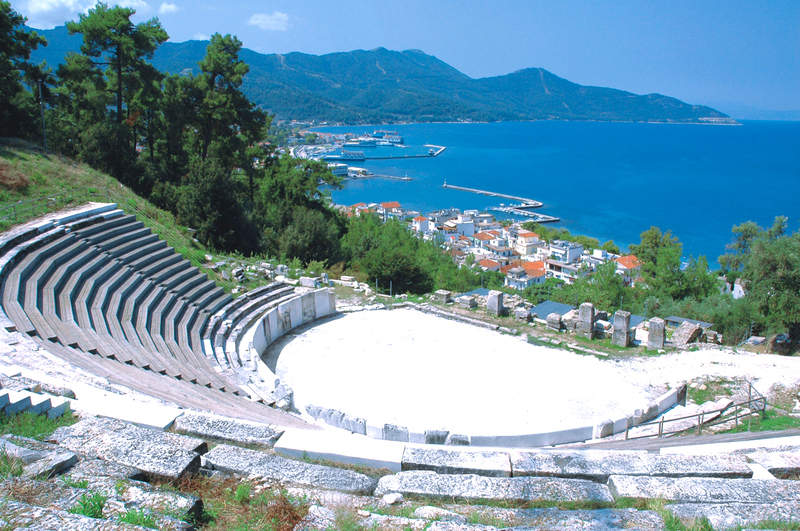 The area of Kavala is home to astonishing sites and monuments to impress every visitor that gets an insight to the long history and legends of the area. The most distinctive one is the Ancient Theatre of Filippi located at Krinides, built right on the feet of the acropolis and it is supported on the eastern wall of the city of Filippi, named after Alexander’s father. As the site has been elaborately preserved through the years, it hosts every summer one of the greatest festivals in Greece, the Filippi Festival, various plays and musical performances. The city of Kavala hosts a Byzantine Castle on its hill top, recently renovated as a resting place and a cultural centre to host several events. The Archaeological Museum of Kavala, although being looted during the World War II nowadays exhibits finds from the whole region such as Nekropolis and Neapolis including remnants of the temple of Athena Parthenos, vases and genuine replicas. The Municipal Museum of Kavala is also of great importance as it houses several collections, historical, ethnographical, artistic and natural history collection along with a library. Another important museum of Kavala is the Tobacco Museum to illustrate the great impact of tobacco cultivation and procession to the area, the city and the local economy, featuring objects machinery, photographs, and rare documents for the cultivation and the production of tobacco. The city of Kavala also features a Wax Museum, unique of its kind across Greece to include wax figures of great Greek actors and politicians. 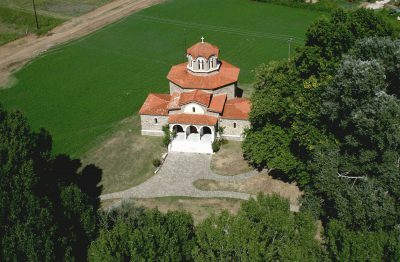 Last but not least, the Cultural House of Nea Karvali, as a continuation of the old Kapadokian Karvali houses the Historical – Ethnological Museum of the Greeks of Kapadokia, Historical Archives of Kapadokia and the Centre for Kapadokian Studies, trying to project the Greek Kapadokian tradition and history internationally. 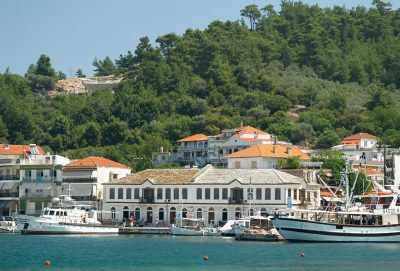 The island of Tassos also houses several museums such as the Archaeological Museum of Thassos with unique findings from 7th century B.C till 7th century A.C, the Olive Oil Museum in Prinos along with folk museums. Kavala is a year round destination as the Ski Center of Paggaio is a popular destination for the lovers of ski and snowboard. 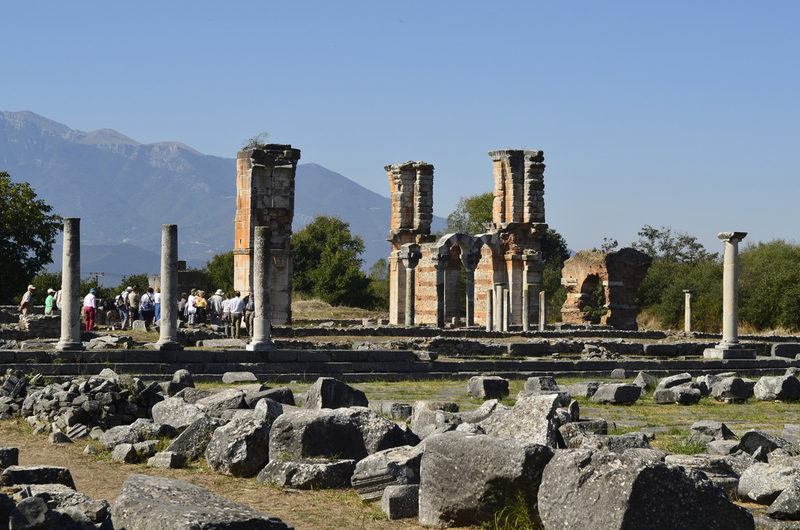 The area is also widely known for its Natural Springs such as Eleftheres Spa with a Byzantine vaulted bath while the area was used since the Roman times. 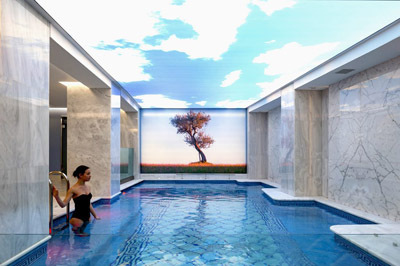 Krinides is another popular destination for healing tourism with mud and thermal springs. Religious tourists also reach the area of Kavala, not only in order to visit the historical churches and monasteries, but also to follow the steps of Apostle Paul who arrived in Kavala in 49 AC as his very first European destination in order to spread Christianity. Kavala is also an ideal destination for relaxed holidays across its beautiful ragged coastline. 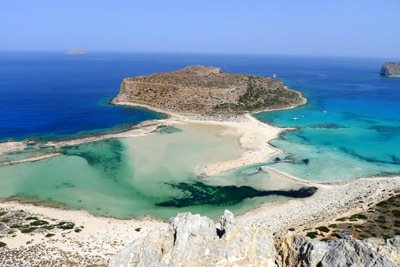 Counting several beaches awarded with Blue Flags, the area boasts a wonderful shore with long sandy beaches situated one after the other, some busy, cosmopolitan and organized and others more secluded. Lovely long sandy beaches, fully organized and part of summer resorts thus imposing an entrance fee, are the beaches of Batis and Tosca. 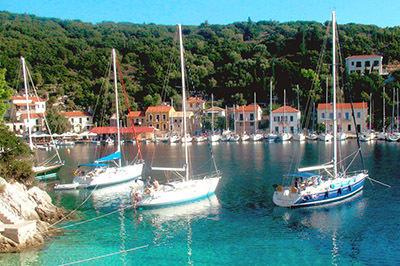 Situated on the banks of small hamlets are the marvelous beaches of Rapsani, Kalamitsa, Perigiali and Palio being the most popular. Above all the most distinctive beach however is the one of Nea Peramos with an exotic landscape and crystal clear blue sea. 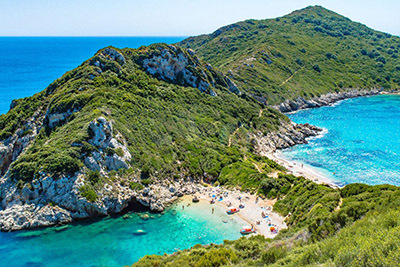 The island of Thassos also features amazing beaches with white sand and turquoise waters, all surrounded by dense vegetation as the island bursts with pine forests throughout its lands. 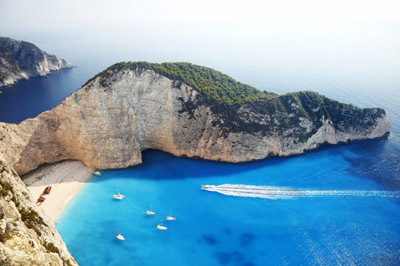 The most popular beaches are Paradise and Golden beach, while right next to resort villages are the beaches of Limenaria, Potos, Skala Potamias, Rachoni and Prinos. 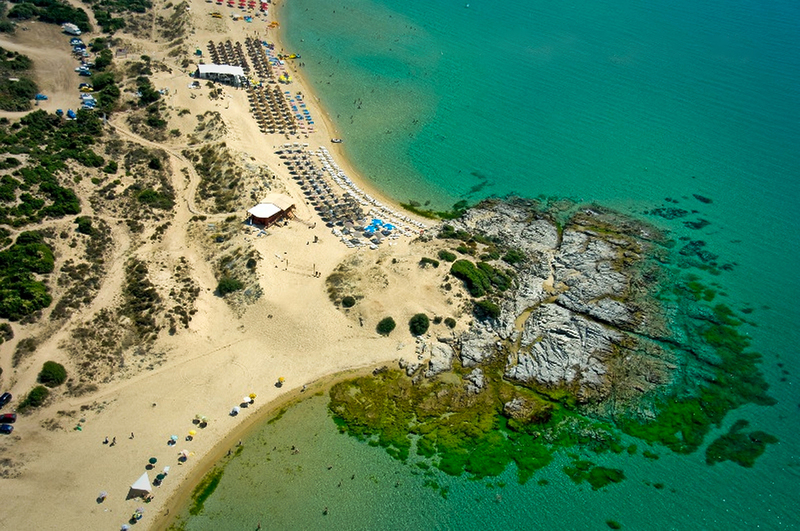 Unique beaches are Tripiti Beach forming a natural bathtub and a cave and Aliki with its twin beaches and a thick forest. The region of Kavala is a fertile land to produce a number of local agricultural products such as olives, almonds, cereals, legumes, rice, sugar canes, fresh vegetables like asparagus and beans and fruits such as kiwis, melons, watermelons, etc. The area however boasts its high quality honey and above all the Thassiotic wine, which has been produced for eons from the islands extensive vineyards. Livestock, fish and seafood can also be found locally as major units produce large quantities of lamb, beef, pork, chicken as well as trout, marc, bass and mussels. Once visiting the area, it is well worth a taste of all the local delicacies with many dishes to incorporate fish flavours such as octopus balls and rice with mussels.